I do not eat much meat so I often use eggs as my protein source. On toast, on salad, on rice .... you name it. I love everything with egg. 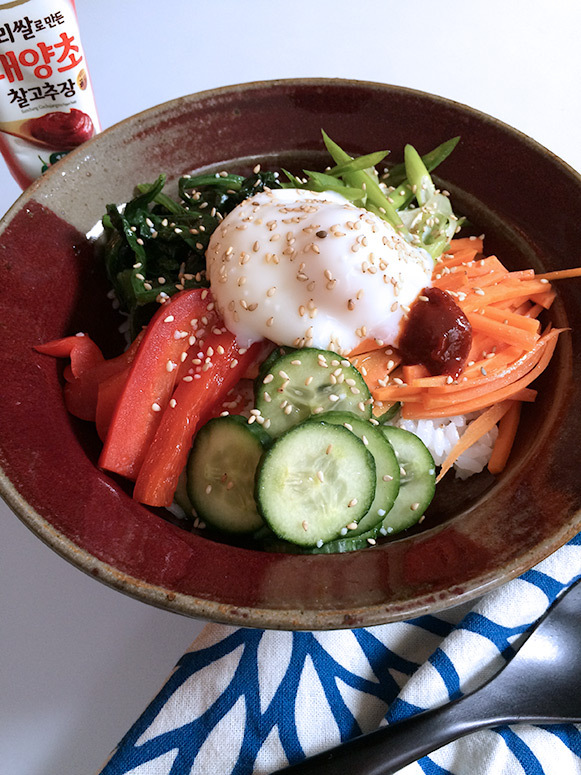 I like eggs in any form but I choose poached egg a lot to cut excess fat. 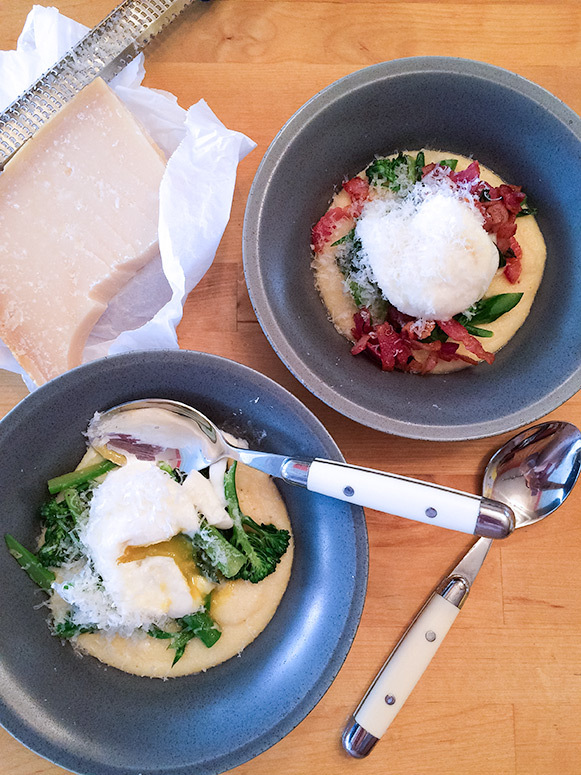 But honestly it is a lot of work for such a simple thing to make a poached egg. One day I experimented to make it in the microwave. My first try was a disaster. The egg exploded in the microwave and I regretted my laziness which caused me a lot of work afterwards to clean the microwave. After a few trials, however, I finally figured out the way. All microwaves are different so try different settings for the power and time to find out the best for you. 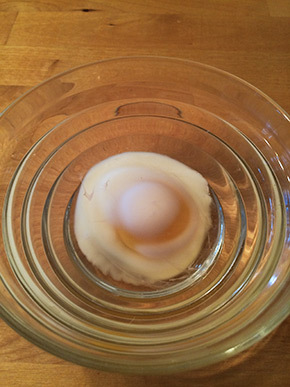 In a small microwavable container (bowl, majoring cup, etc), add enough water to cover the egg. 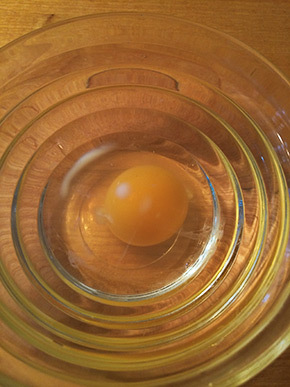 Drop an egg in the water. Make sure water covers the egg. 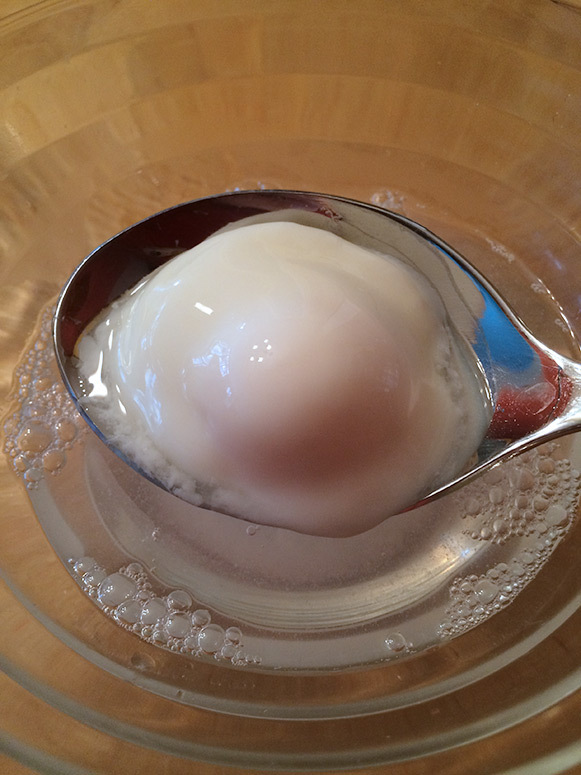 I found water first then egg works better but you can certainly pour water over the egg if you wish. Put it in the microwave without a cover. Adjust the heat level to about 500 watts. If you can't adjust the power level, leave as it is. 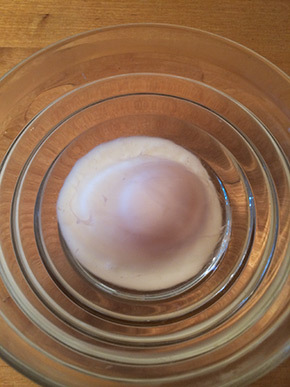 Microwave the egg for 20 seconds and check. Adjust the level to 500 watts again and microwave another 20 seconds. Repeat this until it looks done. If your microwave is higher than 500 watts, shorten the heating time. 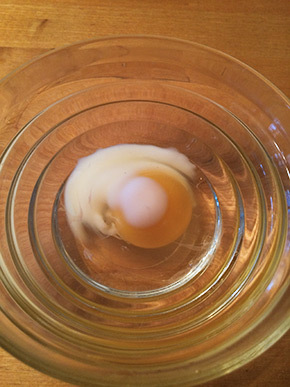 Fish the egg with a slotted spoon.